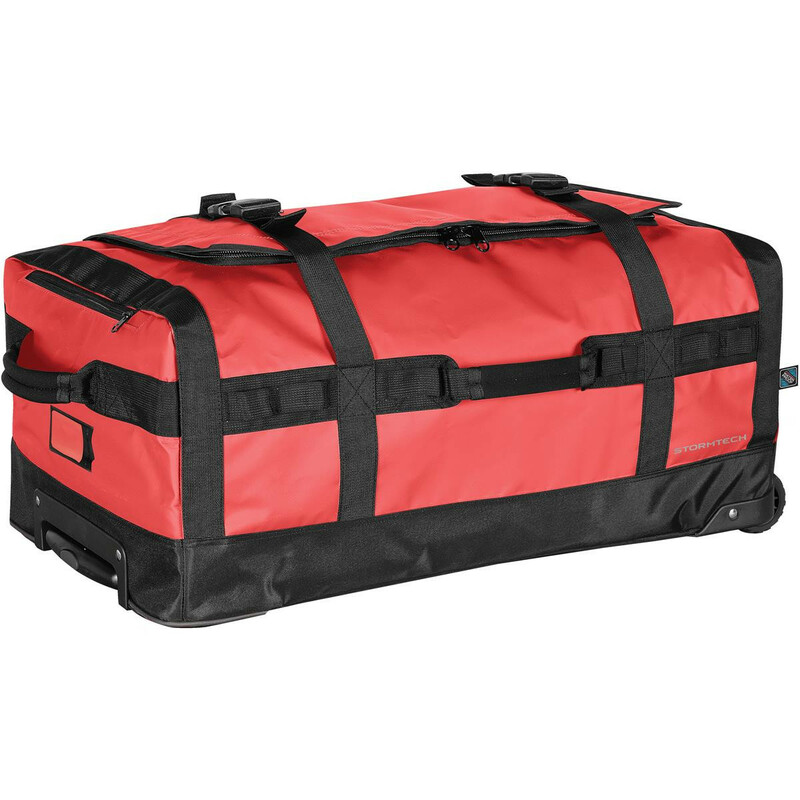 These heavy duty travel bags will have you prepared for whatever your trip throws at you! Features a print of your logo. These travel bags will help to make your next outdoor or travel adventure memorable for all of the right reasons! There's nothing worse than being let down by your kit bag and that's exactly why this bag is so valuable. 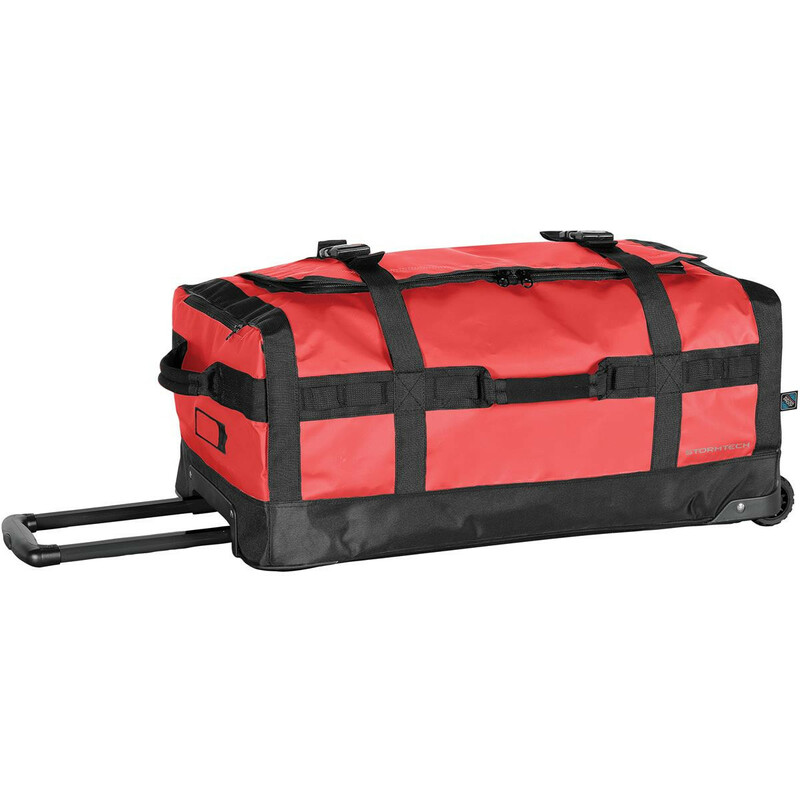 Made from heavy duty, reinforced PVC coated fabric the rolling bag offers a waterproof composite base and provides excellent protection against the elements. This is the medium size (75L Capacity), we also can supply this in small or large. 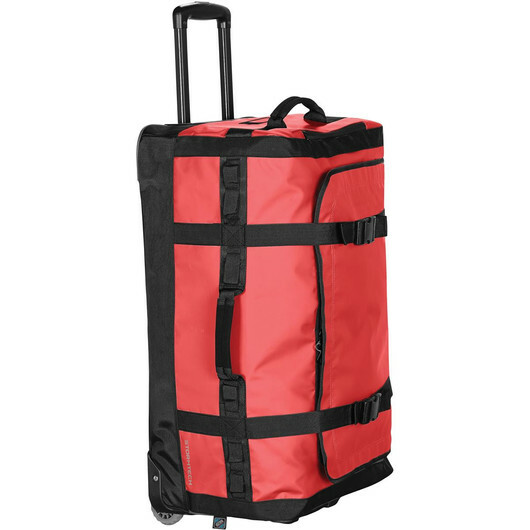 With an extendable pull handle and wheels these bags are easy to move around, making them the perfect travel companion!